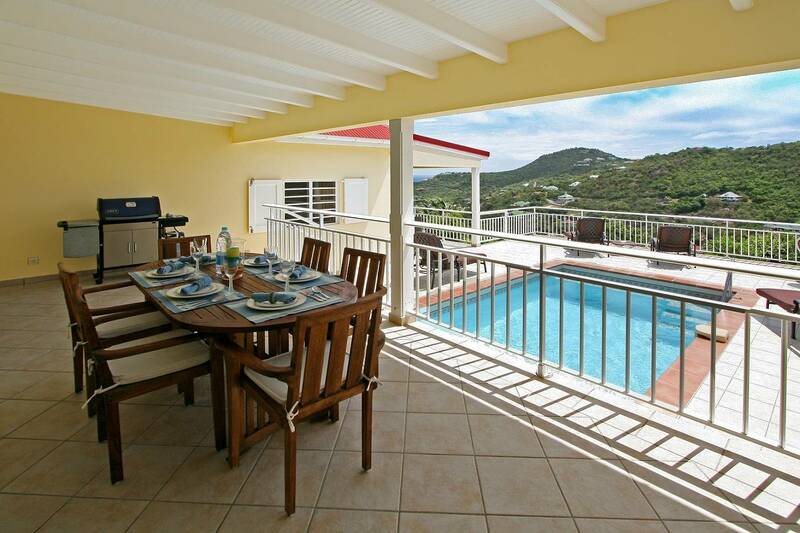 Dream About: Enjoying your morning coffee and croissant on your pool terrace and then heading to the beach. 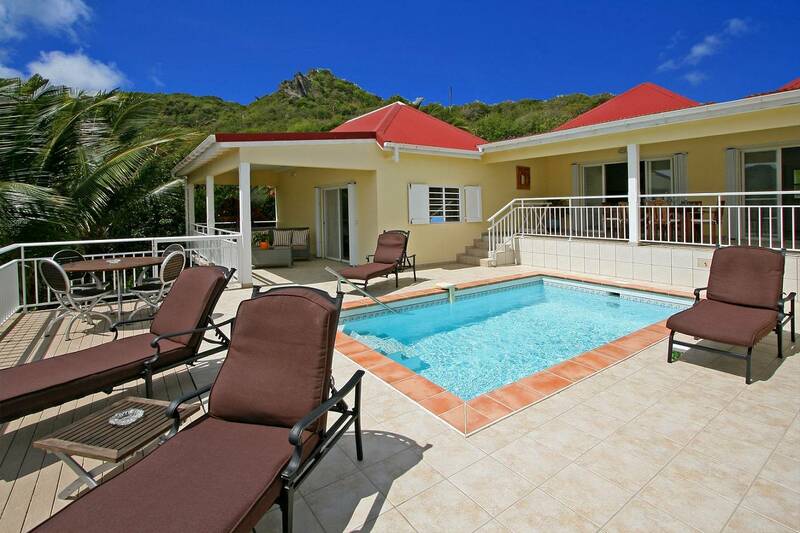 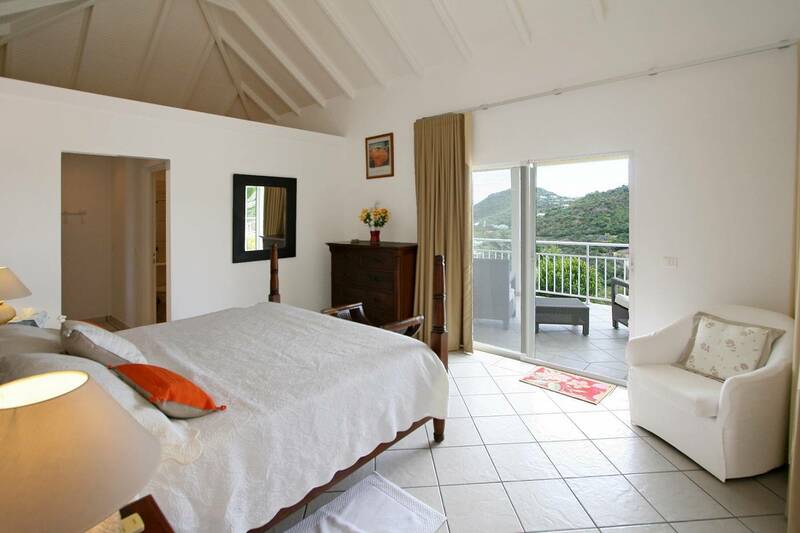 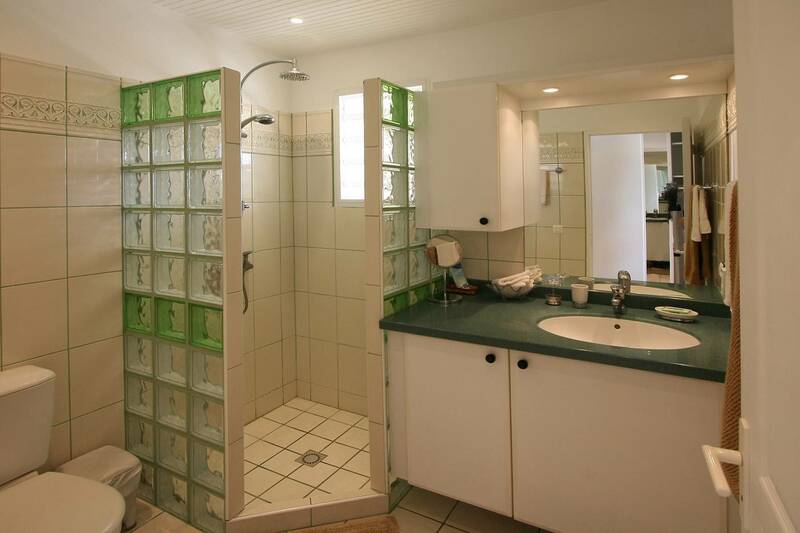 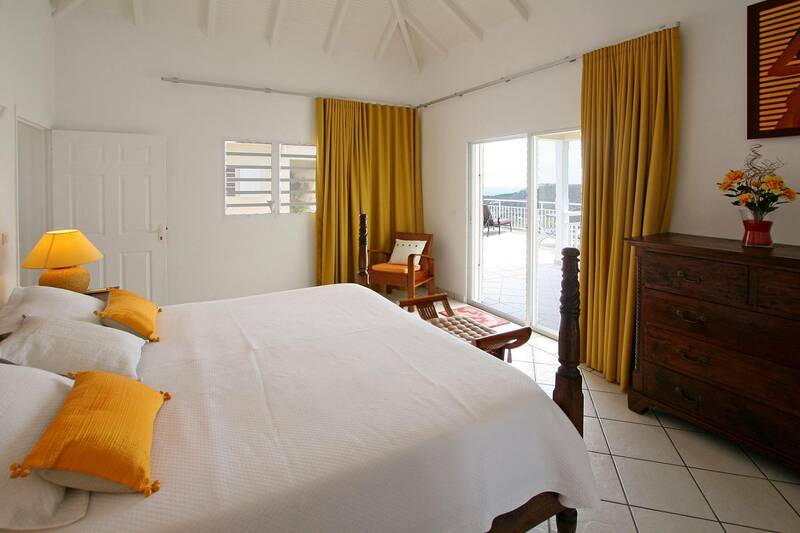 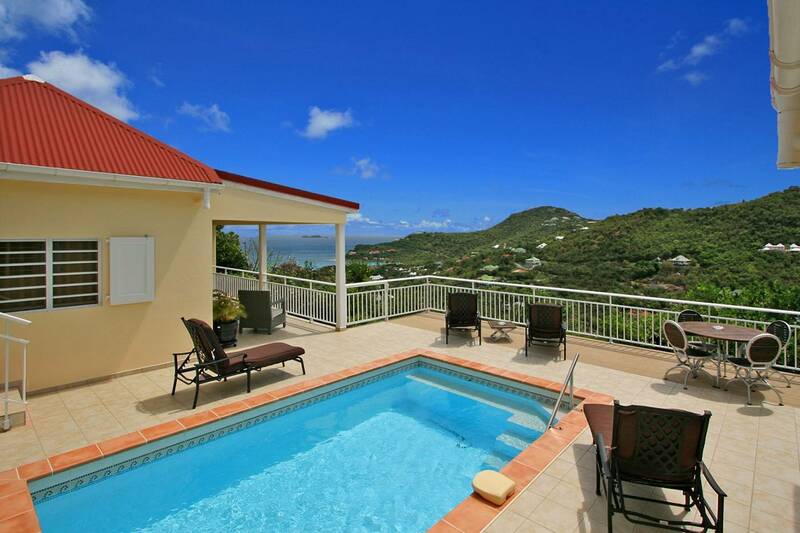 Well designed and prettily furnished, this charming 2 bedroom villa is located on the St Jean hillside and is a perfect villa to share with friends. 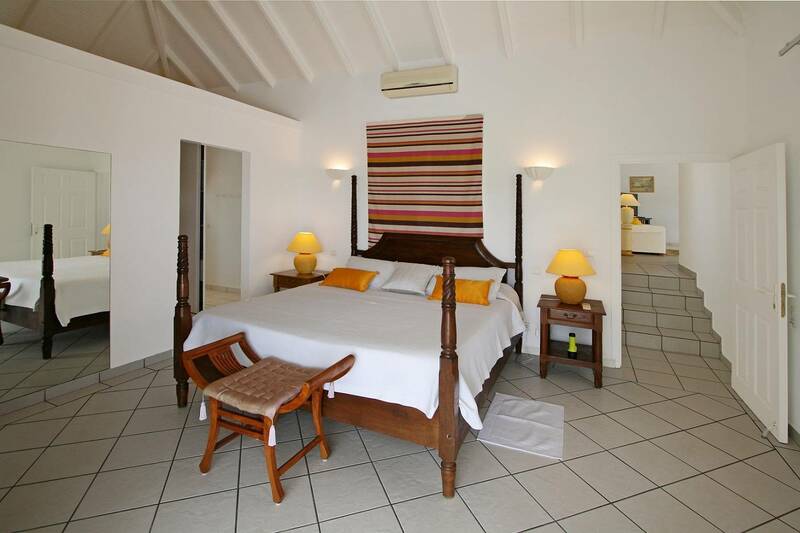 The bedrooms, both with king beds and baths en suite, are at opposite ends of an open and comfortable living area ensuring privacy. 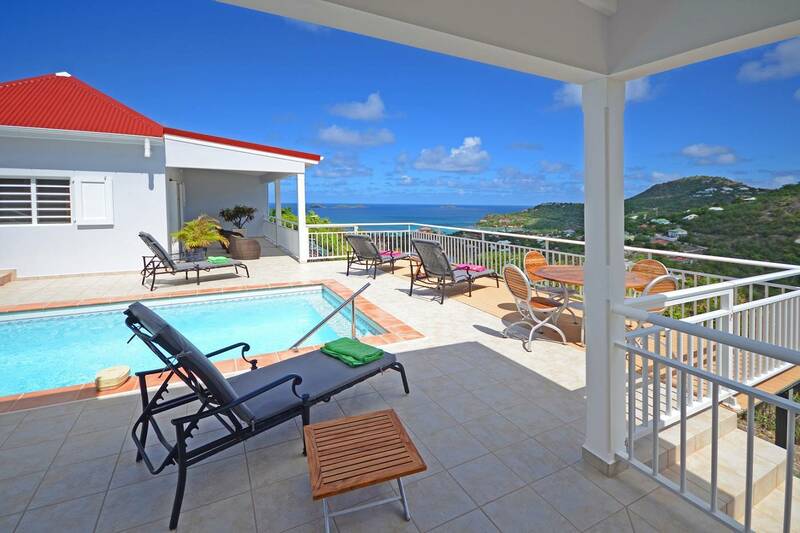 Each has direct access via sliders to the pool and its terrace. 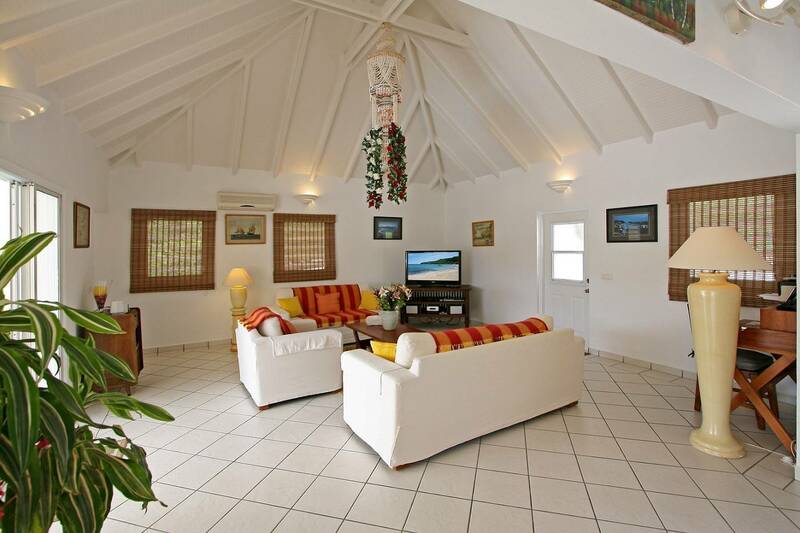 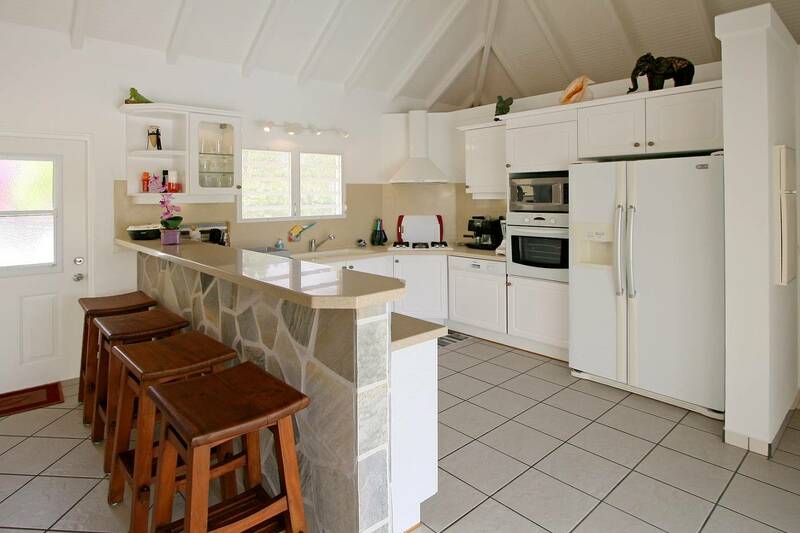 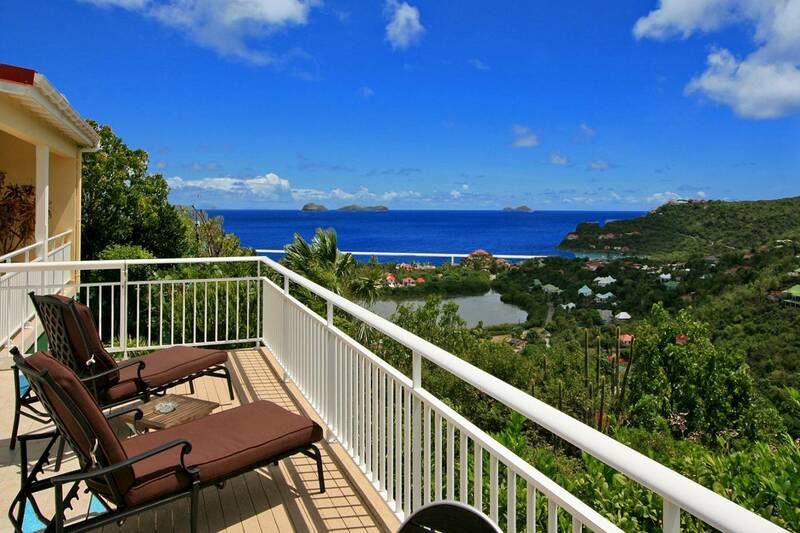 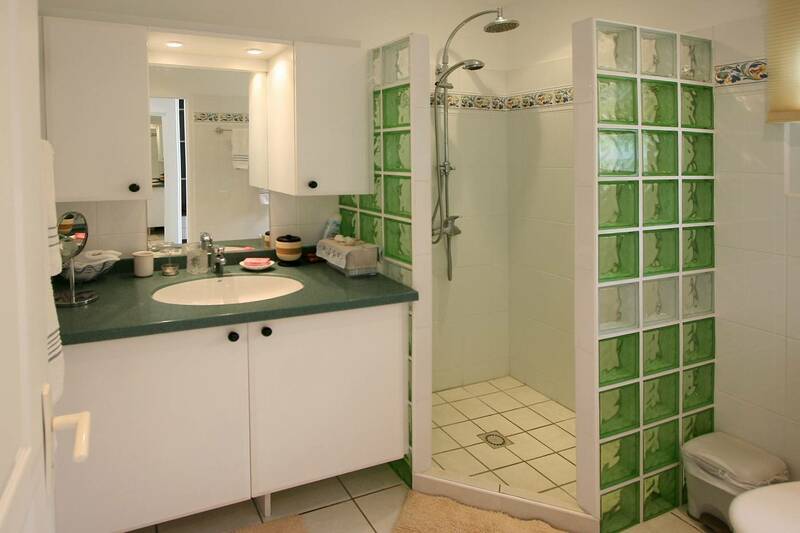 Villa Bonjour features a sunny well-equipped kitchen, a breakfast bar and an additional guest bath. 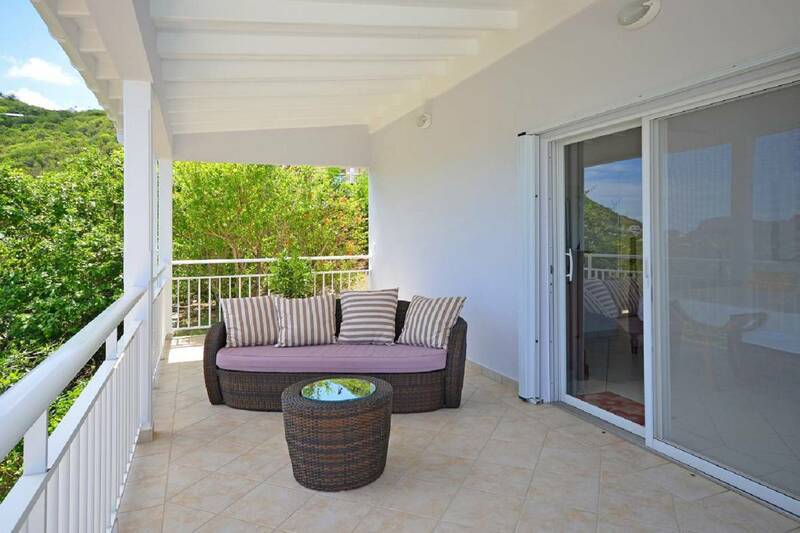 The outdoor spaces include a covered dining terrace that looks out to the view. 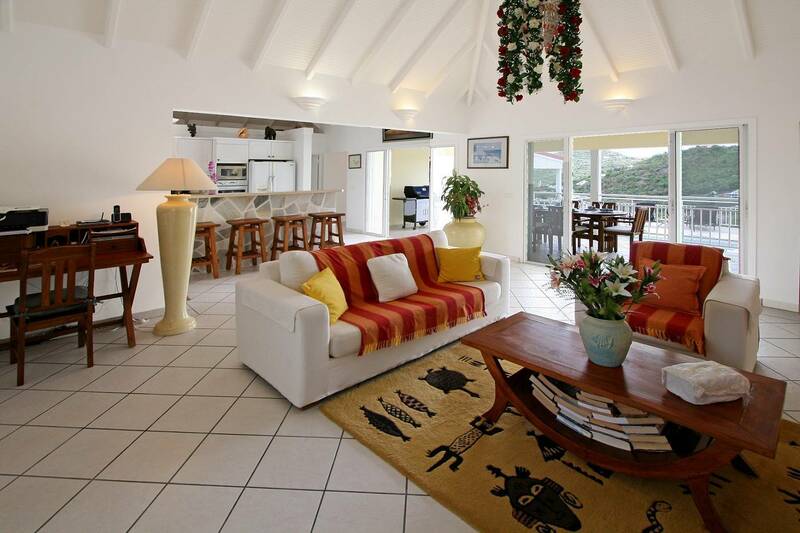 The comfy living room and the on-vacation ambience. 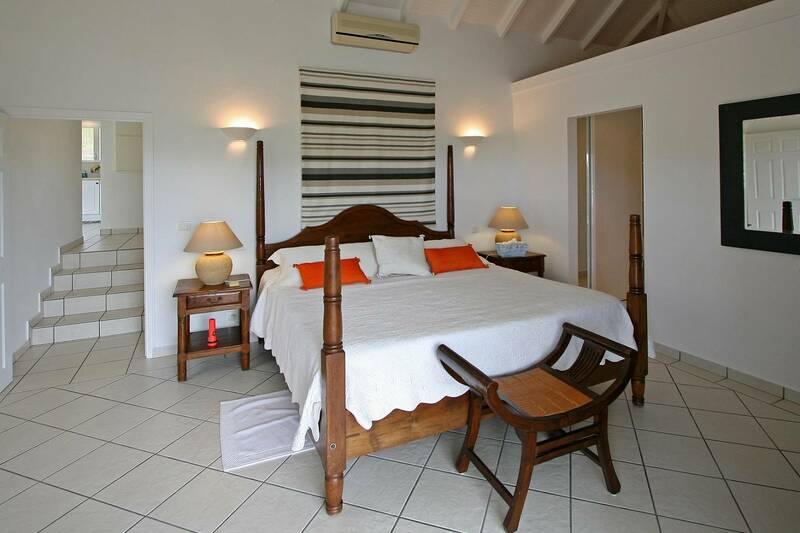 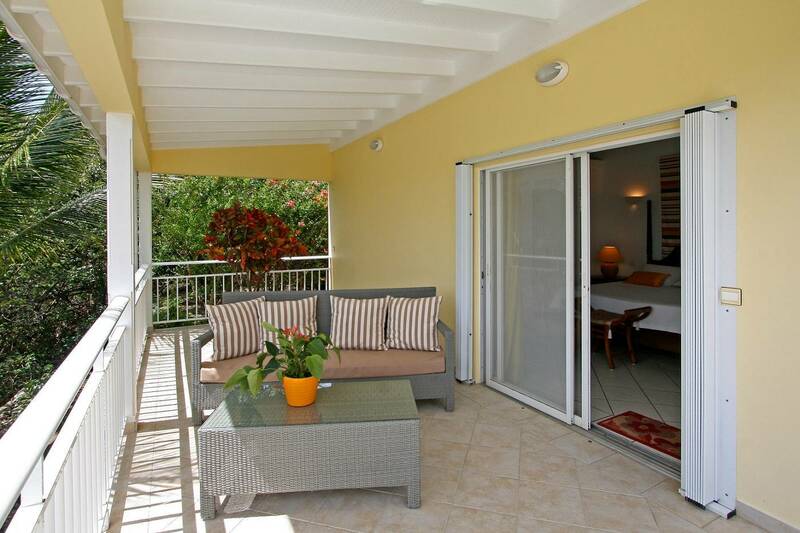 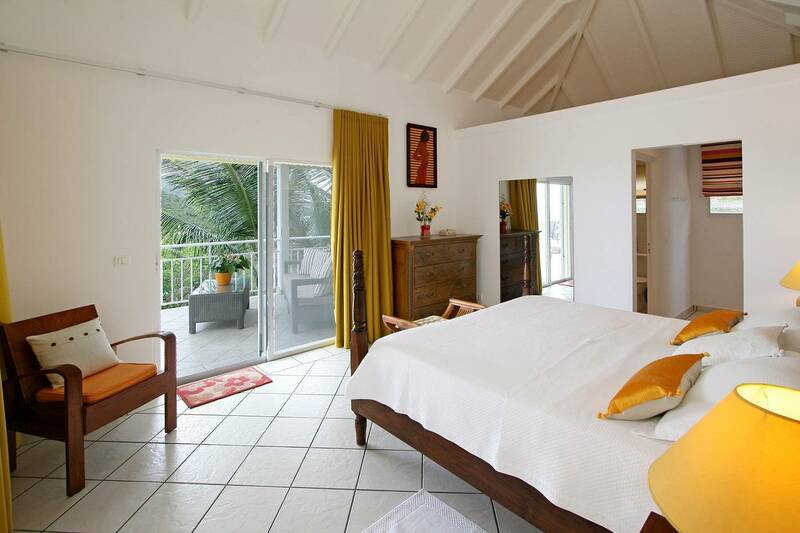 The 2identical bedrooms with baths en suite are on opposite ends of the villa, both have access to the deck.